This is sequel to my article published last week titled, “PURITY IN KNOWLEDGE.” Having spoken about avoiding occultic literature and all their writings whatsoever, I’d like to point us to a good book that should by no means be avoided. The good book of THE BOOK OF JASHER. I like the order in which we find the Bible making direct reference to the book of Jasher. It comes first in the form of a question saying, “…Is not this written in the book of Jasher?” (Joshua 10:13), then the next time we come across it, it comes as if it were an answer to the question saying, “…behold, it is written in the book of Jasher.” (2 Samuel 1:18). Seeing it is clearly stated in the Bible by name, I believe it is God’s will for us to read it. I have read the book and it is a great book that emphasises the greatness of God and his dependability? I didn’t read it out of recklessness. Rather I read it because the Bible recommended it. I cannot confidently say it is preserved like the Bible, though I expect that it is very much preserved, but even as it is, it is very helpful and in total agreement with what is written in scriptures. I encourage every Christian who wishes to read it to go ahead. It is good to understand that the Bible is written in a way that points to specifics and not eleborate on most historical accounts. However it is also important to know that the nature of how the Bible was written seems to make us know that it was written with an expectation either that we (the readers) have a more elaborate from some other account (either by reading some writing or hearing some popular well known story) or that to have a fuller understanding we should make reference to these other sources. For example, where it is written, “And these are the children of Zibeon; both Ajah, and Anah: this was that Anah that found the mules in the wilderness, as he fed the asses of Zibeon his father.” (Genesis 36:24). Now the Bible didn’t give us an elaborate account of what the mules were, the encounter of finding them, or why it made reference to him. But in making such a reference to him is just like saying, “this was that Anah that you must have heard about…” A pre-knowledge was expected at the point of writing this probably because it was a popular or incredible event, and seeing the Bible didn’t elaborate on it, it indirectly refers us to another source of knowledge to know about Anah’s encounter in finding mules in the wilderness. We see such kind of references all across scriptures. For example we can see such an expression where it reads, “And the sons of Eliab; Nemuel, and Dathan, and Abiram. This is that Dathan and Abiram, which were famous in the congregation, who strove against Moses and against Aaron in the company of Korah, when they strove against the LORD.” (Numbers 26:9). This referred to an account earlier narrated (in chapter 16 of the same book of Numbers) and which was incredible, popular and well known. But in the case of Anah we don’t have any any elaborate account. Where do we go get the detailed account from? “And the sons of Shobal were Alvan, Manahath, Ebal, Shepho, and Onam, and the sons of Zibeon were Ajah, and Anah, this was that Anah who found the Yemim in the wilderness when he fed the asses of Zibeon his father. “And whilst he was feeding his father’s asses he led them to the wilderness at different times to feed them. “And there was a day that he brought them to one of the deserts on the sea shore, opposite the wilderness of the people, and whilst he was feeding them, behold a very heavy storm came from the other side of the sea and rested upon the asses that were feeding there, and they all stood still. “And afterward about one hundred and twenty great and terrible animals came out from the wilderness at the other side of the sea, and they all came to the place where the asses were, and they placed themselves there. “And those animals, from their middle downward, were in the shape of the children of men, and from their middle upward, some had the likeness of bears, and some the like ness of the keephas, with tails behind them from between their shoulders reaching down to the earth, like the tails of the ducheephath, and these animals came and mounted and rode upon these asses, and led them away, and they went away unto this day. “And one of these animals approached Anah and smote him with his tail, and then fled from that place. “And when he saw this work he was exceedingly afraid of his life, and he fled and escaped to the city. That said, many historical books claim to be historically accurate and worthy of acceptation but we have to be cautious. Many cults have historical books or accounts they hold true but are only purportedly so. 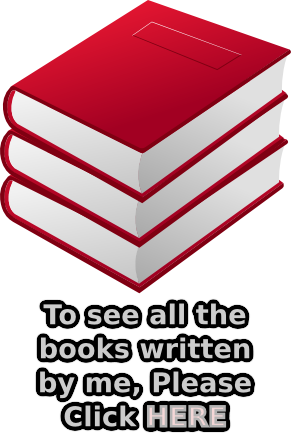 Many of such books are termed pseudepigraphical books because the authors of such books falsely attribute the writings to some other person who never wrote them. It is also important to know that even most cultures have their own belief of the origin of man even when they don’t mean it for religious purpose. Just something they like to tell their children to quiet their curiosity. My culture, as I was told by another friend, claimed that the first man, being Oduduah by claim, fell out of the sky with a tuber of yam in one hand and a white chicken in the other. This of course should be archaic now and lacks the power to lead any person astray. So we’re bound to encounter writings that are opposed to what we believe and avoid them. But particularly harmful are those that are very close to Biblical accounts but presents distorted facts to us. Those that use the names, genealogy, similar accounts that we see in scriptures. We must be very careful with these. The major thing that disqualifies such books of being worthy of our acceptation is that the Bible did not make any reference to them. But the Book of Jasher is well referenced in scriptures. Apart from the direct referencing of the book (in Joshua 10:13 and 2 Samuel 1:18) we have references that can be found in the Book of Jasher. The apostles too made reference to it’s record. Paul wrote to Timothy “Now as Jannes and Jambres withstood Moses, so do these also resist the truth: men of corrupt minds, reprobate concerning the faith.” (2 Timothy 3:8). Though the Bible spoke about them, for they are the magicians who withstood Moses, yet the Bible did not refer to them by name. In the book of Jasher however, we see them being called by their names. It is a great historical book in which you’ll see great, interesting, and even make funny discoveries. However I know nothing of its preservation, so any where there seems to be a contradiction with the Bible, stick to the Bible. I didn’t find anything contradicting the Bible as such, but the stories the Bible didn’t tell seems sometimes as if it were not possible to have happened. However no clear cut contradiction. Rather, it explains a lot of things which are hard to understand in the record of the Bible from the creation to the death of Joshua. It is also good to note that the Bible’s omission of some stories is not out of negligence but because it is focused on the dealings with God with man especially as related to his covenant with Israel and the coming and promise of the Lord Jesus Christ. The story of Anah for example had nothing really to do with these. However the story of Dathan and Abiram showed us the severity with which God judged in the old covenant (though it is an error to assume that he isn’t sever in the New Testament too). Many other accounts that are not directly linked to the covenants were not covered in the Bible. For these other accounts we must see in the Book of Jasher. It is a great book that deserves our readership. But other books that claim to be authoritative which we can’t trace back to the Bible must be avoided. Prayer: Dear Father, thank you for having what we ought to believe well spelt out in your true and eternal word (The Holy Bible). Help us to stick to it as a man holds on to his very life. As we read any other book, guide our hearts aright to maintain a pure knowledge of you. This I ask in Jesus’ might name. Amen. This entry was posted in Apocrypha, Articles, Christian Articles, Updates and tagged Accuracy, Anah, Bible, book, Covenant, God, historical, jasher, trust, Yemmims. Bookmark the permalink.